11.15.16: CMS GlobalSoft, Inc. announces their first WorldLink Xi customer shipping from India. Lorton, VA | CMS GlobalSoft, Inc. announced today, they have their first WorldLink Xi customer shipping from India. With the addition of India, WorldLink Xi is now used for shipping from ten countries worldwide. "Today, India is home to the fastest growing ecosystem of startups. This region is poised to unleash a tremendous amount of innovation in the next decade. We want to be there to support every company to grow and succeed." said Wil Fekeci, President and CEO. 03.05.15 CMS GlobalSoft announces the launch of CMS Carrier Connector. Lorton, VA | CMS GlobalSoft, Inc. announced the launch of the CMS Carrier Connector. 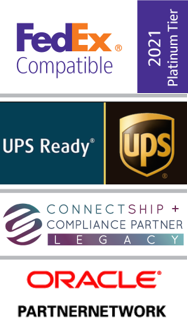 CMS Carrier Connector is a state-of-the-are certification engine tool, specifically designed for developers wishing to link an existing application to one or more shipping carrier APIs. To register for a live webinar, "Introducing the CMS Carrier Connector", click here.